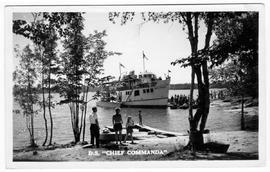 Item is a postally used postcard depicting the Chief Commanda at dock [in the French River] with a large group of people waiting on the dock. 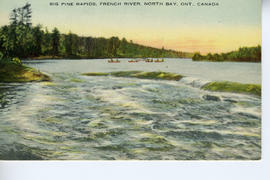 Item is a postally used postcard depicting a group of people on the porch of a cottage along the shore, and two tents. 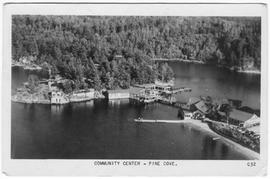 Item is a postally used postcard depicting a group of people standing on the dock with the lodge in the background and a small motor boat to the left foreground.